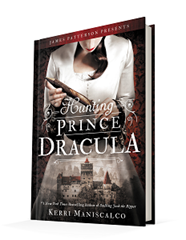 Published September 19th, 2017, by Little, Brown & Company Hunting Prince Dracula by Kerri Maniscalco is the second in her Stalking Jack the Ripper series where an empowered young woman fights against the prejudices of her time to study the mysteries of forensic science and solve murders. Anyone who loves the Gothic element will love this novel as it continues to follow the smart and fabulous Audrey Rose. Taking the story out of London, the story and characters enter Romania to attend a prestigious forensic school. However, things are not going smoothly for her. Suffering from PTSD after the events of the Jack the Ripper case, a story that incorporated real historical events as well as tying in Gothic elements from the queen of Gothic literature herself, Mary Shelley’s Frankenstein. As riveting as a novel as it was, the story left a mark on the character that carries on in this novel. Audrey is seeking an escape from London and all the ghosts that haunt the corners of her mind, but in doing so, she must also find a way to overcome the tragedy within her, the dead bodies that come to life with mechanics only in her mind. Maniscalco expands the knowledge of Audrey Rose, adding to character development, especially as she enters a foreign environment that has its own hauntings and prejudices of women in the medical field. However, once again, Audrey rises to the occasion and against the prejudices against those who think she is cursed and that murder follows her and those who think her profession is unfit for women. She overcomes all of that and continues with her investigation as murders, reminiscent of Bram Stoker’s Dracula, comes into play. It is an exciting novel that not only focuses on the facts but also delves into the mythology and lore of Romania and that created by Vlad Dracul. Vlad will always be a figure in history that will always inspire the imagination, and this novel explores why. Maniscalco keeps her character and the focus of the narrative trained on the facts, and she has the story look at the evidence, incorporating the lore of this land into making it otherworldly and challenging to decipher. It is excellent writing because the atmosphere in the story rises off the pages and draws the reader into the story as everything unfolds. Furthermore, much like with the previous novel, it is not predictable. One could read the novel more than once, seeking out those hints and pieces that would allude to that climactic ending, and find none. Maniscalco does not give anything away as she tells the story, letting it unfold for the reader as it unfolds for the characters. Now, as tension driven and hypnotic as this story is, the climactic ending is short lived. The revelation, it comes to an almost abrupt ending, and this is probably the only part of the novel that’s lackluster, but it feels forced. 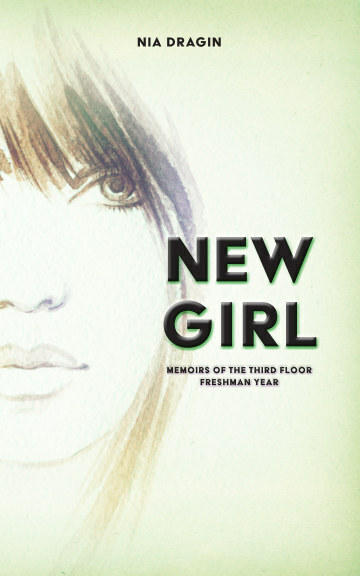 It feels as if she was trying to make some of the characters have a more significant impact than they had, but it felt somewhat disconnected from the rest of the novel.